Kingfisher’s Q3 results reveal a 2.9% LFL decline in sales in the UK & Ireland, as the axing of Homefit took its toll. The global company also announced plans to pull out of Spain, Portugal and Russia, in a bid to focus on more profitable markets. Total sales for B&Q in the UK & Ireland fell by 2.8%, with the discontinuation of showroom installation services pulling LFL figures down by around 1.5%. B&Q announced it would be scrapping its Homefit installation service in June with a view to simplifying the buying process within kitchens and bathrooms and citing the fact that 90% of customers now choose to use third-party fitters. Screwfix had a better quarter, with a total sales uplift of 10.6%, LFL sales up 4.1% and nine new outlets opening during the trading period ended October 31, 2018. The retailer celebrated the opening of its 600th store in September. Meanwhile, Kingfisher said today it has made a strategic decision to exit operations in Spain, Portugal and Russia in order to concentrate its efforts on regions where it has or can attain a market-leading position. Kingfisher moved into Spain in 2003, rolling out the Brico Depot format it had successful trialled in France. The business, which reported an operating profit of £2million in FY/17/18, currently operates 28 stores in the country and employs around 1,782 staff. During Q3, Brico Dépôt Iberia, which includes operations in both Spain and Portugal, posted sales of £87million; up 2% LFL. Kingfisher only ventured into the Portuguese market four years ago and has opened three Brico Dépôt stores in that time. The business reported an operating loss of £2million in FY 17/18. The picture in Russia wasn’t much brighter, with an operating loss of £8million in FY 17/18. 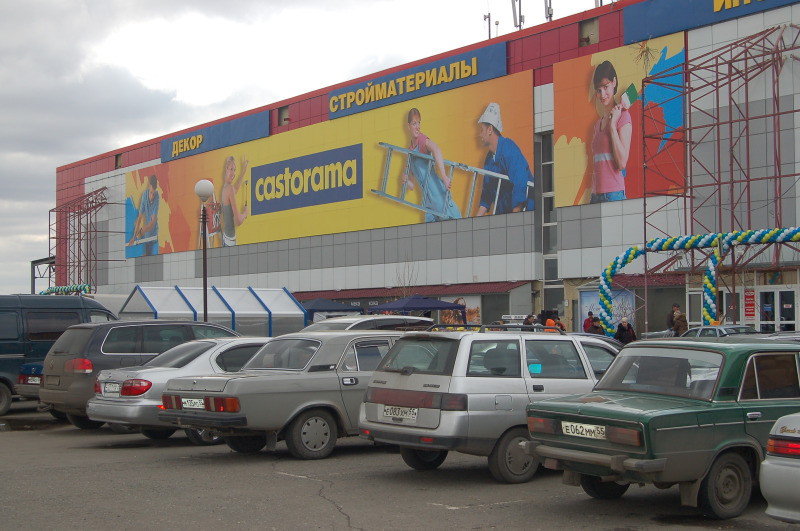 The retail group operates a total of 20 stores in the country under its Castorama banner and employs 3,280 people. In 2016 Kingfisher opened one of four B&Q big box stores in the country in order to trial a new concept designed to bring together the best elements of DIY from across the Kingfisher group. Kingfisher’s woes in France continue, with LFL sales down 3.4%for the quarter, impacted mostly by continued weak footfall at its Castorama stores and the effect Kingfisher’s One transformation plan is having on the business, which reported LFL declines of 7.3%. Brico Dépôt Framce had a better quarter, with LFL sales sales up 1.1% as a result of good growth from new ‘unified ranges’, which Kingfisher says are helping “to re-energise the Brico Dépôt offer”. Overall, Kingfisher reported sales of £3billion for Q3, up 1.2% in constant currency, but with LFLs down 1.3%. “Finally, I’m pleased to announce we are also returning a further £50million via share buyback which completes our £600million capital return commitment in the first three years of the plan." How long will lowrys disastrous rule of kingfisher be allowed to continue she has overseen the destruction of Britain's best DIY store, one kingfisher product range has left stores with empty shelves, cutting staff wages by £2500 from the longest serving most loyal staff all who had worked at BQ far longer than VL even knew the company existed and had built the company into the giant it was. I'll conceived ideas, carried out by directors and management shipped in from food retailers with no concept of the DIY market. So many experienced staff have now left replaced by very nice but inexperienced Eastern European workers have left the company a shadow of its former self. We are looking at the next woolworths or BHS great companies destroyed by atrocious greedy directors who abuse the shopfloor staff, ignore the customers but will leave with fat payoffs. RIP B&Q.